Put your plants in control of their phosphate needs, not the soil. Phosphorus is essential to all life. It is the foundation for high quality yields, but it isn’t always available in the soil when plants need it. Until now. Crystal Green® is the next generation of phosphorus. Crystal Green’s citrate soluble granules don’t tie-up in the soil, or run-off, their release is triggered by the organic acids produced by growing roots, supplying nutrients on-demand. The difference of improved uptake is increased yields and reduced nutrient loss. Crystal Green is effective on a variety of crops and soil types. Its unique Root-Activated™ technology allows for increased efficiency of phosphorus uptake by the plant. 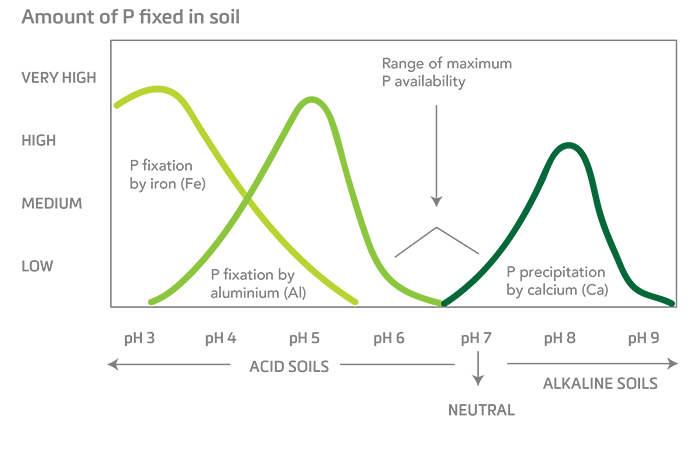 This also helps to minimize the phosphorus tie-up that is common in soils of extreme pH. Research has proven it. Growers have defined it. Crystal Green benefits crops with better phosphate control and uptake for higher yields. Crystal Green has shown a positive yield response across a wide variety of crops. It’s citrate-soluble, plant-available release prevents soil tie-up for maximized efficiency. Proven to reduce nutrient runoff, it’s not just good economics, it’s sustainable agronomics.